Hello fellow bloggers. It’s Friday. Had you noticed? Did you forget? Well, I woke up and smiled. It’s Friday and the weekend officially starts in a couple of hours. 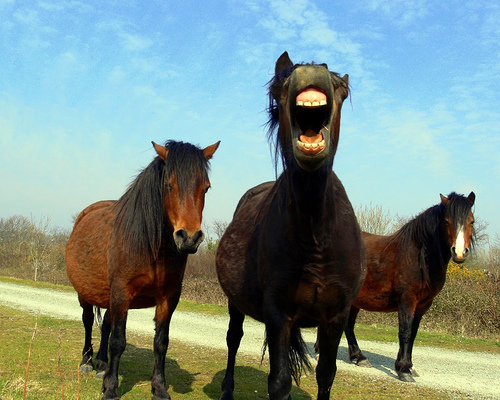 Have you laughed lately? I’m not talking about that snicker or pretend laugh when someone tells you a stupid joke. I’m talking about a outright, stomach clenching laugh. Well if you haven’t then try it. It helps you feel better. It clears the mind and makes way for positive thinking. Studies show that laughter helps people heal faster. I don’t know much about that, but I do know it helps you feel better. As a children’s minister I laugh a lot. Children can just bring on laughter just being themselves. Sometimes I get to class on Wednesday or Sunday with a splitting headache and soon I’m feeling better. I contribute it to laughter. Try to laugh today. Don’t take things so seriously. You only live once and you need to enjoy it. It also helps your writing and during November a lot of people are on a writing marathon. If you don’t have anything to laugh about, go to the internet and find a joke site or youtube video. See if you don’t feel better after you have that healthy side splitting laugh. Well, as always, good writing, have a good laugh and May God always bless you! For those in the north that are still having issues from Sandy, try to laugh. I know that you don’t have a lot to laugh about, but it couldn’t hurt to just laugh. It might give you some hope or extra energy. Not to mention it will warm your body against the cold. Praying for all of you! Categories: Author, Books, Children, Church, Experiences, Fun, Inspiration, Internet, Journey, Life, Love, Medical, Meltdown, Passion, Published Books, Reading, Romance, Therapy, True Story, Uncategorized, Writing | Tags: Cold, Depression, Friday, fun, God, Health, laughter, Love, smile | Permalink. Stalker! My own personal nightmare…. Categories: Experiences, fear, Life, Passion, police, prison, Stalker, Therapy, True Story, Uncategorized | Permalink. In my post this morning I was talking about the levels of love. I mentioned obsessive love and touched on my experience with a stalker. I decided it might be helpful to others out there if I told my story. Maybe it will give them the courage to stand up and fight. It started when I was 16. I met a really nice guy at the local skating rink. Well I thought he was nice. Looks and actions can be very deceiving. Since I went every Friday night we developed a friendship, nothing more or so I thought. He never touched me during those days, only conversation. I enjoyed talking to him. We had a lot in common. One night I was talking about a Youth party our Church was having. I asked him if he would like to go. I had started to like him and thought it would be alright. He jumped on the chance. Well, he came and had everybody just falling all over themselves to be near him. I have to say he was a very nice looking young man. My parents even liked him. They had met him several times at the skating rink. He asked me that night for an official date. Being I had not been on many dates (I had real over protective parents-not complaining), I told him that sounded great. We went out for a nice dinner and a movie. At the movie we held hands, but nothing really tipped me off that he was not mentally alright. He gave me a quick kiss goodnight and left after our date. Well, being a 16 year old girl I thought this was great. An older man (he was 19-which seemed older to me at the time) was paying me some attention. We started talking on the phone every night the next week. It was on the fifth night that something seemed different. I had mentioned a friend that was a guy had laughed at a joke I told him. This guy went off the deep end. He started swearing and raising his voice. Well, I told him I was hanging up and that started my nightmare. He started calling all hours of the day and night. He would rant and rave, then it started getting sexual. He started detailing what he was going to do to me when he got his hands on me. I would hang up and he would call back. He even told my dad the same things. He would tell me what I was wearing when I would go into town. He even a couple of times told me what I wore to school. I was terrified. My dad called the police and they put a tap on our phone. When the investigator heard this guys conversation, he was mortified. He had my principal at school watching out and I couldn’t go out without an adult. One night we were having a Christmas party and he called repeatedly. He talked awful to anyone who mistakenly answered. I got to the breaking point. I lost weight, I stopped eating. I was scared. He was watching me at a distance, but nobody could catch him. One day I got home from school and collapsed. Both from exhaustion and complete misery. The investigator ramped up the case. They finally were able to catch him in the act. He was living with his older brother and they played the tapes for him. He called and begged us not to press charges that his brother had a mental disorder. We knew it would be the only way he got help, so we pressed charges. The judge would not allow me in the court room because the guy had implied he would get me there too. My dad went. The guy was sentenced to two years in prison with mental therapy. He served 18 months and go out for good behavior. Well, guess who was the first person he called. Me! It started again. Well, the investigator was ready and he was put back in prison for 6 more months. After some therapy of my own, I was able to move on with my life. I’ve not heard back from him. Thank goodness. I want anyone that has had this happen or is having it happen, please get help. People like this are sick and capable of anything. Categories: Experiences, fear, Medical, Meltdown, Therapy, True Story, Uncategorized | Tags: detectives, fear, investigation, police, Stalker, True Story | Permalink. As I write this I ponder the different levels of love I’ve had in my 43 years of life. I am by no means an expert. This is just my outtake on the subject, so take it as you may. Child’s love: As a child you have such a reserve for real love. You have not been challenged by the things of the real world so you can be open to love with your whole heart. Children love unconditionally, well most of the time. First crush love: You know the love I am talking about. Usually you experience it in your early teens or earlier for some. It is that feeling when you look across the aisle in class and lock eyes with a cute boy. You instantly think you are in love and you will just die if he looks back. Yeah, you remember that don’t you. Ok, you can quit laughing now. First real love: This is the love that comes and your heart just is taken away. It no longer belongs to you. Sadly, sometimes this is the love that we mistake for some other feeling and we don’t act on it as our heart tells us to. This is usually the love that if you don’t keep, you end up keeping it with you forever in your dreams. If you don’t realize it is real and you let it go, you spend a lot of time later in life thinking about that lost love. LOVE: Sometimes when we think we feel love we do things that are not in character for us. We may even marry someone thinking that it is love only to find out after the stars are out of our eyes that we were wrong. That is really sad, but it happens everyday. The divorce rate is prime example. A scary percentage of people are in marriages that started with misguided love. Forever Love: This is the love we are strive for. It is the kind that when the person walks in the room, you almost swoon from the heart palpitations. Hopefully you all have felt this kind of love. Maybe it is with the person you are married to, hopefully. It is the kind of love that stops everything around you. When you lock eyes you know and it scares you sometimes the depths it can go. Now that is great love. As I said before, this is just my take. There are so many more levels of love. It is endless. Hope you have Forever Love. It is always a great thing to have. Hopefully it is with your spouse or spouse to be, if you gave up on Forever Love and went in another direction, well try not to dwell on it too much, because it will drive you insane. Just my opinion. As always, great writing and May God Bless! Categories: Author, Books, Country, Experiences, Life, Marriage, Passion, Therapy, Uncategorized, Weddings, Writing | Tags: children, crush, Love, memories, remember, teenager, therapy | Permalink.